Ethernet Orchestra A/V Networked Performance, FBi Radio. 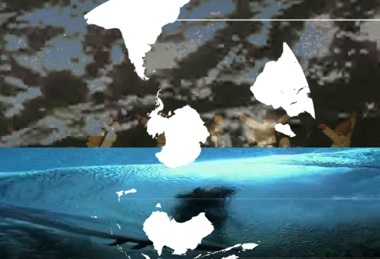 Net Diaspora's is an Internet music project that enables asylum seekers, refugee and migrant musicians in interstate urban and regional areas to collaborate and perform culture specific musical repertoires online. The project aims to provide an opportunity for dispersed musicians and audiences to reconnect with, maintain, and develop social and cultural practices through sustainable online musical collaborations and real-world performances. The impact of culture-specific collaborative interaction on participants’ experiences of displacement, and how these programs can be managed and sustained by the participants themselves. Supported by Settlement Services International, Sydney, and Creative and Cognition Studios, University of Technology, Sydney. 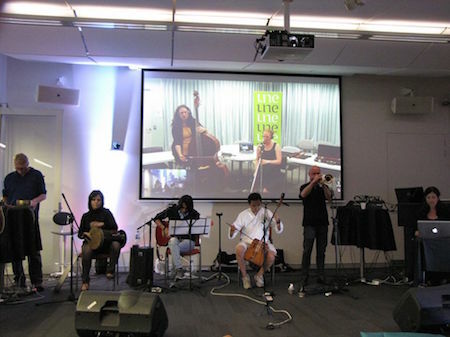 Ethernet Orchestra is an Internet based networked music ensemble exploring intercultural improvisatory collaboration through telematic audio platforms. The ensemble features musicians from a diverse range of cultures and musical traditions, and combines an array of instruments, including Mongolian horse fiddle & throat singing, tabla, Persian tanbur & tar, blended with Buchla synthesizer, voice, guitar, trumpet, sax and electronics. 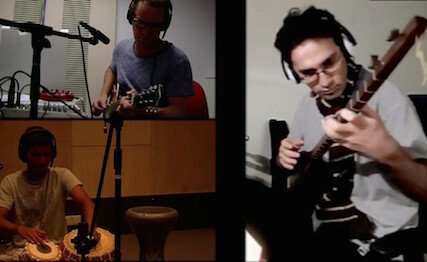 The project provides opportunities for hitherto improbable meetings between cross-cultural musicians and sound artists to explore new methods and approaches to intercultural tele-improvisation. See publishing for articles and papers on current research. The ensemble have just released their debut album Diaspora through the Chilean net label Pueblo Nuevo. It is available to download for free under Creative Commons license, 2015. Live performances include Lanes Festival, University of New England, Sydney 2015, People's Republic of Australasia, Sydney 2015, ZERO SPACE Conference 2013 at University of Virginia, Charlottesville, UpStage Festival of Cyberformance, 2012, 2nd Tehran Digital Art Exhibition, Tehran, 2011. 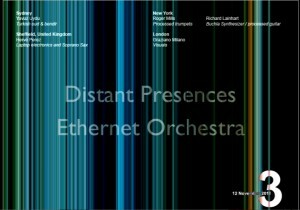 Paper presentation and telematic performance featuring Ethernet Orchestra; Roger Mills (Processed Trumpets) Sydney, Peyman Sayyadi (Tanbour) Montreal, Canada, Chris Vine (Guitar) Londrina, Brazil. 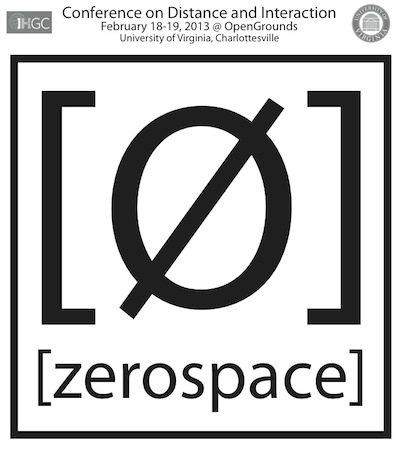 The interdisciplinary ZeroSpace Conference on Distance and Interaction brought together scholars and artists examining aesthetic, cultural, technological and environmental issues of distance and interaction in the 21st Century. Performances featured works employing telematic and network technology, and exploring conceptual notions of distance. Networked audio-visual performance featuring on;ine VJ Graziano mixing visual collages to the ensembles improvisations. 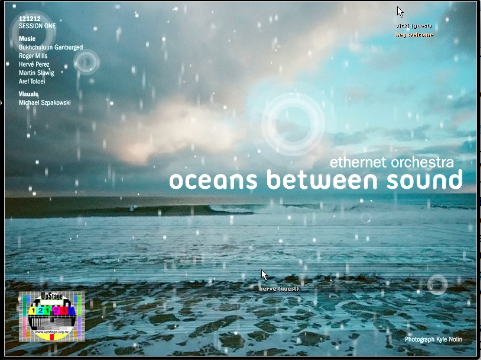 Oceans between Sound considers the ebb and flow of network data as metaphor for the world oceans separating the members of the ensemble and their dispersed lives. Presentation given in the online platform Waterwheel Tap featuring developing multimodal case study analysis of intercultural tele-improvisation. Cyberformance Symposium was hosted by UpStage, the Water­wheel Tap and independent cyberformers, where participants discussed their online performances and practices with other artists, researchers and other interested participants. Invited presentation of recent journal article Listening Through The Firewall: Semiotics of Sound in Networked Improvisation (Organised Sound, Vol.17 No.1). This was followed by a networked improvisatory performance with Tehran based oud player Benham Moayerian in the Moshen gallery, Tehran. TADAEX is an annual program featuring a mixture of contemporary art practices with a commitment to share, introduce and promote digital and interdisciplinary art with the help of international platforms such as ARS Electronica, Openframeworks.cc, Association of Neoroaesthetics and VisualBerlin.de. 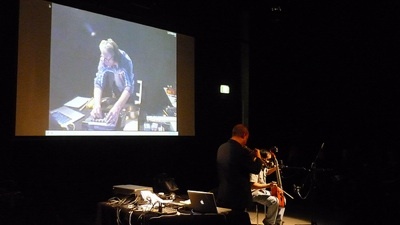 This unique A/V performance featured the late Richard Lainhart and Roger Mills performing in a one off live event with Yavuz Uydu (AU) and Hervé Perez (UK). Networked live cinema mixing by Graziano Milano in the online A/V interface VisitorsStudio. Remote listeners experienced the audio visual performance online. Details here. DRHA conference, 4-7th September 2011 at the University of Nottingham Ningbo Campus, China. Paper presentation included a live networked performance featuring Chinese Guzheng musicians Tao Han and Mao Danheng playing with the Ethernet Orchestra. Unfortunately the performance was abandoned due to Internet access problems resulting in a live collocated improvisation. ISEA2011 - Paper presentation, 15th September 17:00-18:40 Sabanci Centre Room 4, Sabanci University, Istanbul. ISEA conference and festival ran concurrently to the Istanbul Biennale. View paper. ACM Creativity and Cognition Conference , Atlanta, Georgia, 3-6th November 2011. One of twelve selected papers for presentation at the graduate student symposium. More details. Guest Lecture 11th November 2011, Pauline Oliveros Doctoral Research Group, Rensselaer Polytechnic Institute, Albany, USA. 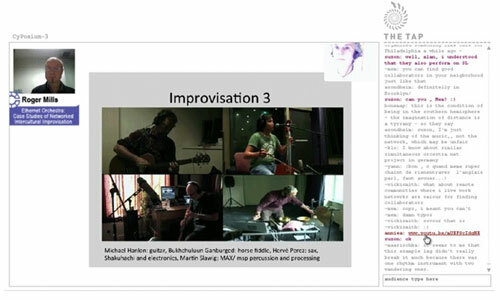 2010 paper presentations and performances include NIME++2010 Dislocated Sound: A Survey of Improvisation in Networked Audio Platforms pdf can be downloaded from here. 5th International Conference on Multimodality 2010, University of Technology, Sydney - Paper presentation and live improvised performance with Prof. Theo van Leeuwen. 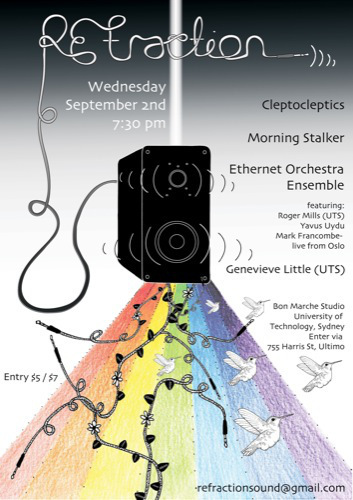 Ethernet Orchestra witrh live networked VJ's, on FBi Radio, Sydney 94.5 FM Sydney and A/V platform Visitors Studio. Sunday 20th June 9-10 pm (Sydney) 12-1 pm (UK) 1-2pm (Central Europe) 8-9 am (Londrina, Brazil). "Distant Presences" is an improvised sound work which reflects the nature and aesthetic of the ensembles dispersed interaction. As divergent musical cultures meet in improvisation, the work is a meditation on the multifarious nature of location and being. It forms part of an ongoing series of networked improvisations curated by Furthernoise.org for "Explorations in Sound" Vol 5. London, United Kingdom - Graziano Milano. Munich, Germany - Helen Varley Jamieson. Sydney, Australia - Neil Jenkins. Thanks to FBi Radio, Sydney and Brooke Olsen at Sunday Night at The Movies. Bon Marche Studio, University of Technology, Sydney, 17th June, 2010. University of Technology Sydney, 2nd September 2009.